Betting Tip: Valencia kept themselves in their customary Champions League spot with a narrow win over Zaragoza in midweek and they will be confident of adding another three points to the tally against struggling Getafe. But Unai Emery’s men have only scored one goal in each of their last six so Valencia with under 2.5 goals in it looks tasty at 13/5. Betting Tip: Villarreal are in freefall after no wins in seven and preparations for Rayo’s visit won’t be helped by the impending Champions League clash with Manchester City in midweek. Vallecano are on the up after successive wins over Betis and Malaga and the gulf in confidence between the two sides will be reflected by a Rayo win at 27/10. 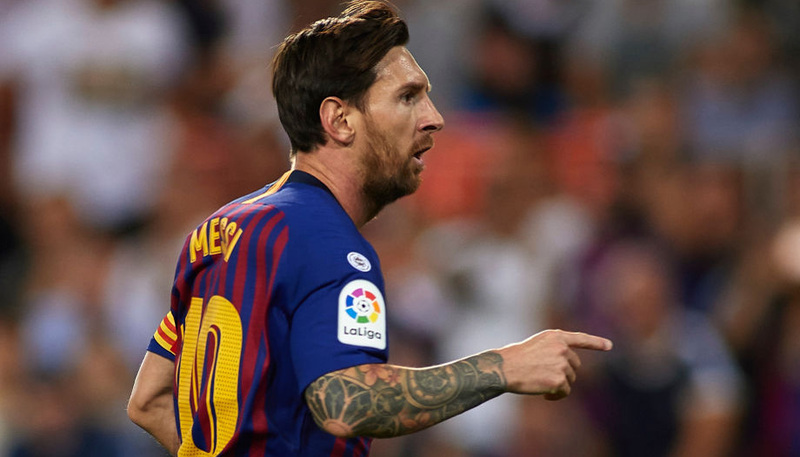 Betting Tip: Barcelona have slipped from top spot after being held by Sevilla last weekend and that was followed up by a slim win over whipping boys Granada. The previously free-scoring Barca have struck just once in their last two games but remarkably they’ve kept seven clean sheets on the bounce. Mallorca are averaging less than a goal per game in occupying 13th so expect another routine victory for the champions. A multiple score of 1-0, 2-0 or 3-0 Barcelona is 8/5. Betting Tip: Real Sociedad have lost four out of their last five with the only anomaly being a 0-0 draw with Getafe, so the last team they want to see is free-scoring Real Madrid. Los Galacticos have plundered a remarkable 28 goals in winning their last seven games so expect something similar to occur in San Sebastian on Saturday. It’s difficult to look past a Madrid win with over 3.5 goals in the game at 13/10, although backing Cristiano Ronaldo at 9/4 or Gonzalo Higuain at 5/2 to score two or more may be worth a few quid. Betting Tip: Sporting have won two in a row after a horrible sequence of seven defeats from eight but they will face stiff opposition in making it a hat-trick from a Bilbao side who are unbeaten in their last seven, winning four. The Basque men are stubbornly difficult to beat and they will have enough to edge this one in a low scoring encounter. Bilbao to win with under 3.5 goals at 5/2 is a licence to print your own. Betting Tip: Little Levante just keep on going. 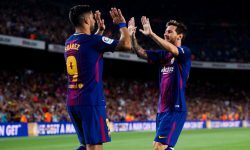 An injury time winner against Sociedad in midweek meant the ‘Granote’ – or frogs, to give them their rather unflattering translation – head La Liga on merit by a point. After drawing their first two games they have won an amazing seven in a row to thus far make a mockery of suggestions this league was nothing more than a two horse race. They’ve made a fool of many a man so far this season but I think they could finally have met their match in Osasuna. The Pamplonans are strong at home and have won two and drawn two this term. All good things must come to an end, although Levante should make do with sharing the points at 9/4. I hope they prove me wrong. Betting Tip: Betis have fallen away woefully after briefly topping the table after four rounds. They’ve lost their last five and lost their way to goal too over that period, notching just once at the Bernabeu. Santander are the only side in the division yet to record a win, and likewise with just six goals scored all season they’re about as threatening as a Greenpeace activist. Neither are making too strong a claim for the three points so get on the draw at 9/4. Betting Tip: Atletico were threatening to put something together at the end of September but that notion has disappeared in a winless streak of seven games. Despite a wealth of offensive talent they are struggling to score and they combine that with the unenviable trait of leaking like a sieve. Having said that, Zaragoza are hardly in the rudest of health and are without a win away from home all season and have lost the last two. The head says Atletico must get it together at some point but the head also says stay away from the win at 2/5. Atletico to nick it 2-1 is a well priced 15/2. Betting Tip: Malaga have recently hit the expected travails which come when you hurriedly cobble a team together. They’ve lost their last three without scoring and have shipped in nine goals in the process. Espanyol are up in sixth place and have won four of their last six 1-0 so both sides seem well placed to split the honours at 5/2. Betting Tip: A last minute penalty save in the Camp Nou kept Sevilla’s unbeaten start to the season going and they will be looking to strengthen their Champions League credentials with a win over bottom club Granada. A narrow defeat to Barcelona in midweek showed Granada’s durability and even if they rarely get hammered they are extremely limited going forward having found the target only twice in nine games. Expect the status quo to continue with a multiple score of 1-0, 2-0 or 3-0 to Sevilla available at 13/10.